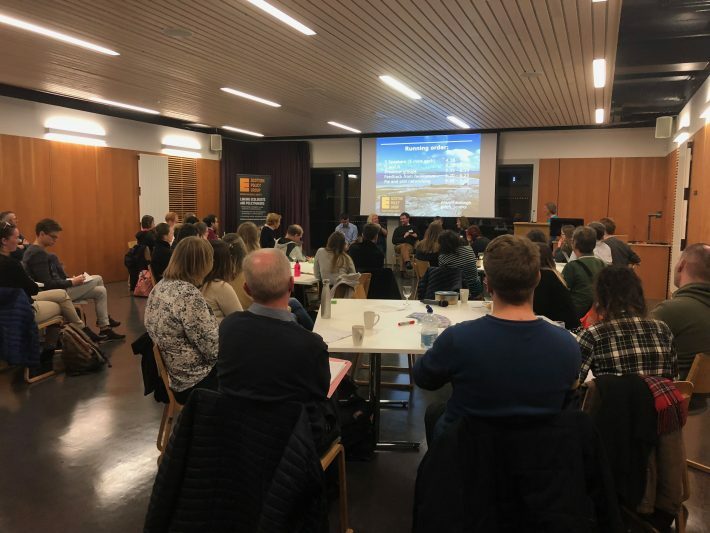 Reflections on the BES-Scottish Policy Group's Pie and a Pint event by an early career researcher. The 13th of November was a busy day for the Scottish Policy Group’s (SPG) engaged members and committee. Following a morning and afternoon discussing the science-policy interface at the Policy Training Day, I stayed on in the Edinburgh Centre for Carbon Innovation to attend my second ever Pie and a Pint (PAAP) event. At my last attendance back in 2015, PAAP consisted of a small group in the dim basement of the Gait bar, so to witness so many people squeezing into the Edinburgh Centre for Carbon Innovation was an exciting indication of the growing reputation of this recurring event. 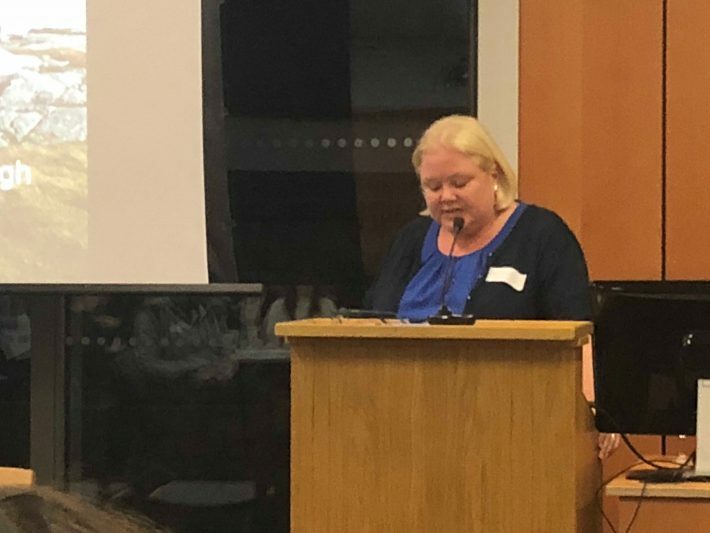 As she called for a raising of hands, Chair Ruth Mitchell’s welcome speech revealed that for many members in the room this was their first attendance at PAAP. A further testimony to the success and growing interest of these events was evidenced by the presence of two visiting policy staff from the BES London headquarters – signalling that this feature of the SPG calendar may soon be exported to England and Wales! As the main event got under way, five invited speakers attempted the tough task of condensing their views on this much-debated topic to just 6 minutes. Director of RSPB Scotland, Anne McCall, began by highlighting the failure of traditional conservation approaches to halt biodiversity loss. Citing that 60% of ecosystem services are degraded or being used unsustainably, she argued that a Natural Capital (NC) approach could be a successful alternative if more data and resources were directed to it. Scottish Natural Heritage economist Tom McKenna echoed the notion that NC can only be as successful as the funding made available to gather data and perfect methodologies. He additionally spoke about some of the ways in which his organisation already employ the concept in their work, making evident the fact that there are major institutions that clearly believe in its utility. Following these two presentations largely in favour of a Natural Capital approach, Pat Monaghan, Emeritus Professor of Zoology at Glasgow University, provided a counter-balance by speaking to some of its failings. Environmental value, she suggested, is not something that can be easily broken down and measured. Equally, it is not yet clear where it has produced significant conservation benefit in the real world. 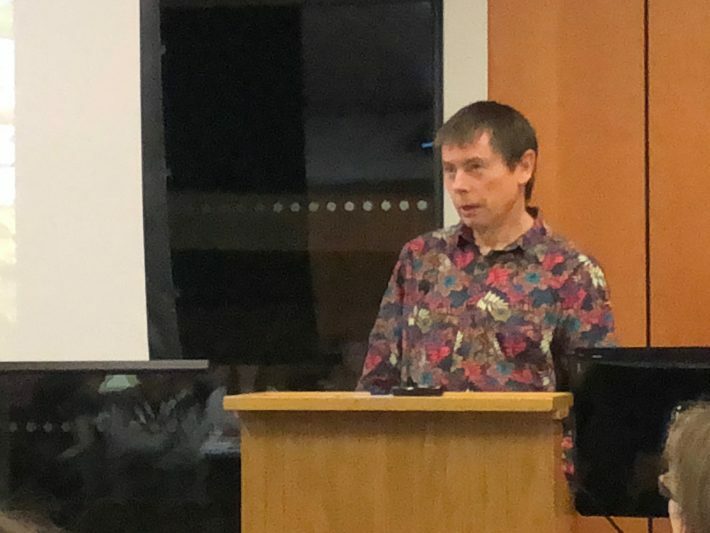 Charles Dundas of Scottish Environment LINK and the Woodland Trust opted instead to speak in his capacity as a former accountant. Valuing biodiversity in the language of finance and assets, he argued, was the best way to engage politicians and landowners. It is in fact the very people who least value nature who make the decisions that most harm it, so demonstrating why biodiversity is important in their own terms is an effective tactic to remedy this. Personally, I found final speaker and environmental economist Professor Nick Hanley to have provided the most thought-provoking case, and a lot of fuel for later discussion. Despite expressing the joy that economists like him experience when their jargon enters mainstream use, he proceeded with an impassioned case against Natural Capital. Agreeing with Professor Monaghan, that biodiversity cannot realistically be valued in financial terms, he continued by explaining how a decrease in Natural Capital can be seen as consistent with a commitment to sustainability. It is, in this sense, a “potentially dangerous” concept that can justify the felling of a forest if there is an equal or greater increase in, for example, “Social Capital”, by building a hospital or school in its place. Following a Q & A with the speakers, the audience mixed into discussion groups. 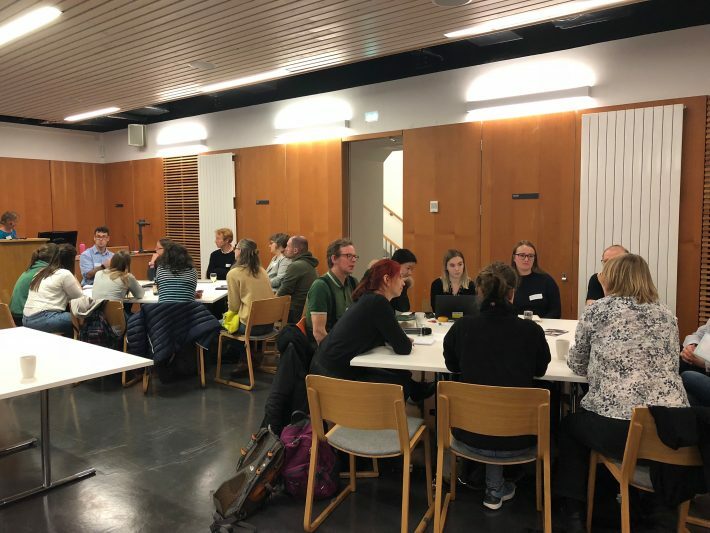 Participants were asked to consider the conditions under which a Natural Capital approach does, or does not, deliver for biodiversity, and whether there was any successful middle ground. As a recent graduate, I found this to be a great opportunity to debate ideas at a table that included experienced professors, a government official, NGO staff and other students. When the groups reconvened, each of their main ideas were offered up, revealing considerable cross-cutting themes and perhaps a general sense of disfavour for this conservation approach. Common suggestions in favour included that it was useful for involving politicians, corporations, and generally those people who have not been engaged by traditional approaches. The input of more resources could build upon already successful outcomes. Against this were convictions that it is unworkable, unmeasurable and unclear. It was additionally thought by some that NC distracts from the intrinsic value of nature, instead encouraging harmful consumerist behaviours through the commodification and marketization of plants and wildlife. Post-event Pies and Goodbye to Rob! Before wrapping up and retreating for the event’s namesake food and drink, time was taken to say a huge thank you to outgoing committee member Rob Brooker. 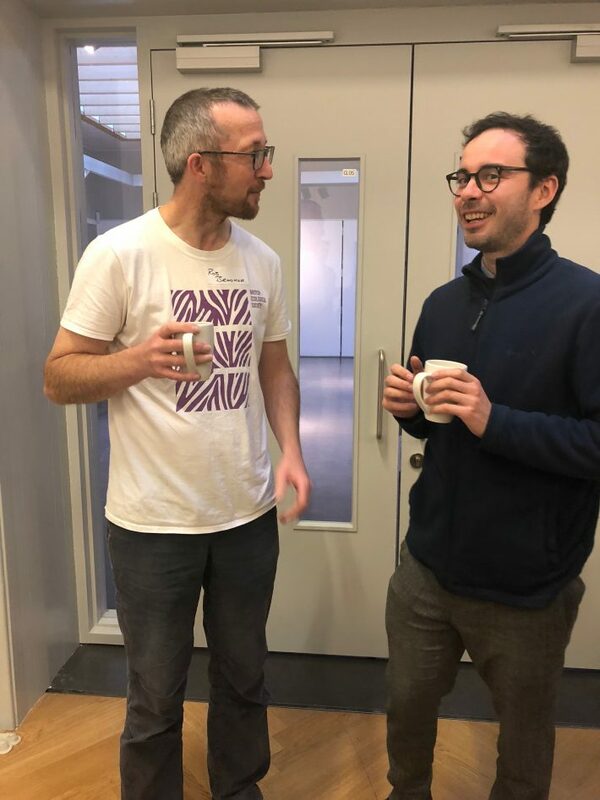 The SPG is of Rob’s inception, and in the eight years since its foundation he has been a valuable contributor to the group’s achievements and has become a PAAP veteran along the way. We wish him happy success for the future and hope to continue to see him in the ecology community and at upcoming SPG events. 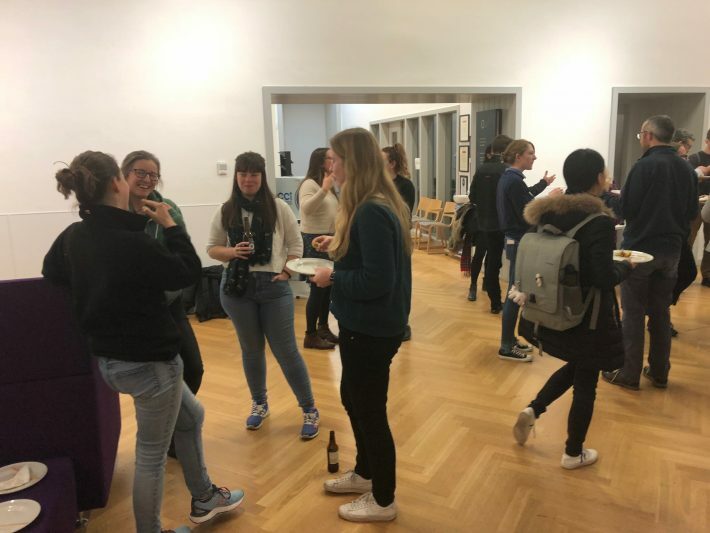 As I learned during the post-event mingling, I was far from the only one who came to the ECCI that night with a limited understanding of Natural Capital. As I met, listened and talked with fascinating people from ecology and policy backgrounds however, I was able to develop more informed opinions that will be of use in my future career. I left the event with a bottle of beer, new insight and new connections with people that I will hopefully catch up with at the next one.